It’s broadcasting live at all 3 locations. I’ll also take live call-in questions tonight. When I open up the lines, you can call 1-714-795-2504 to reach me live on the air. Tonight I’ll only do ONE site critique for you live on the air so you’ll want to call in as soon as I open up the phones. 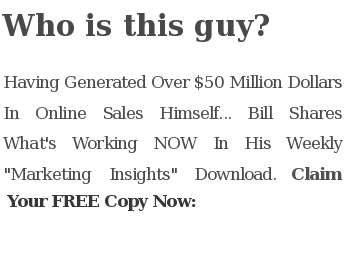 This entry was posted in News and tagged bill-mcintosh, frank-kern, frankkern, internet marketing, internet marketing seminar, internet marketing show, internet marketing tips, live broadcast, live show, live streaming, marketing advice, mass-control, masscontrol, mc2, Online Marketing, online marketing service, online marketing show, online marketing tips, online-marketing-seminar, Search Engine Optimization, seo, Social Marketing, social networking, ustream, video, Video Marketing by Bill McIntosh. Bookmark the permalink.